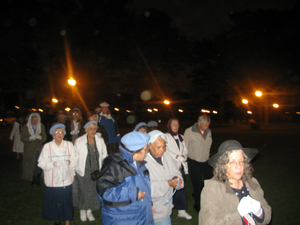 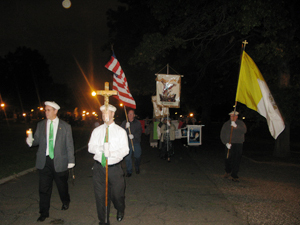 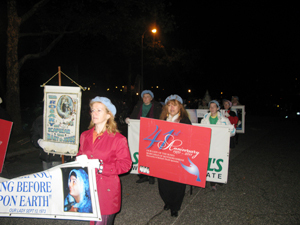 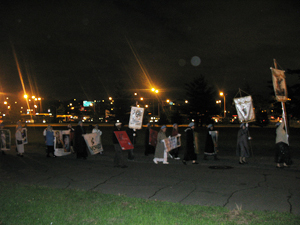 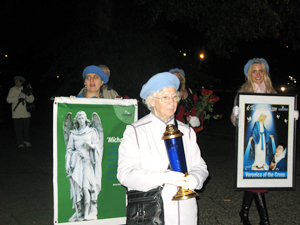 On Saturday, October 1, St Michael's World Apostolate held a procession/Vigil at the sacred grounds in honor of St. Michael the Archangel and the Holy Guardian Angels and St. Theresa of the Child Jesus. 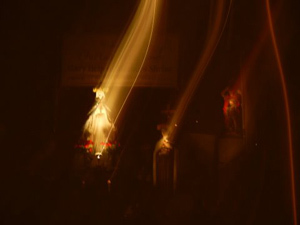 St. Michael is our glorious patron and guardian and his feast day is on September 29. 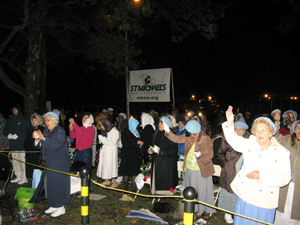 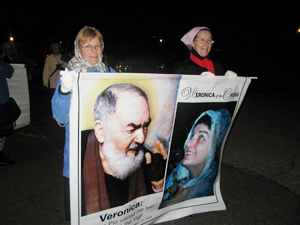 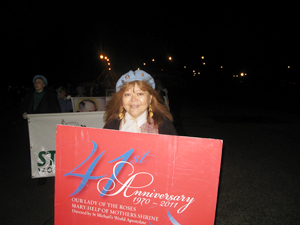 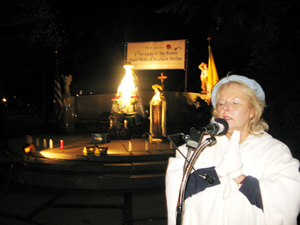 Monica Alvarado of Rutherford, N.J.
210 prayer warriors honoring the great archangel on this chilly evening with temp in the mid 50s. 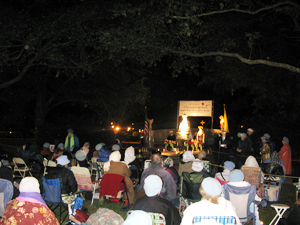 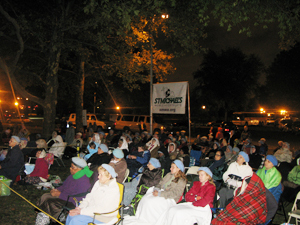 Each Vigil at 9 p.m., during a solemn interval, the pilgrims kneel and raise their Rosary and other sacramentals to Heaven so that Jesus and Our Blessed Mother can bless them. 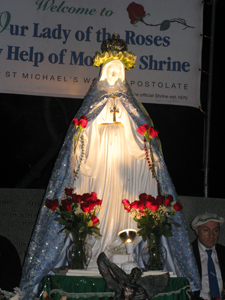 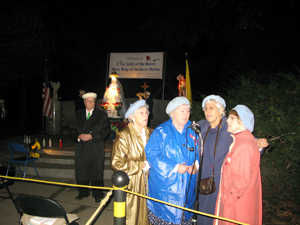 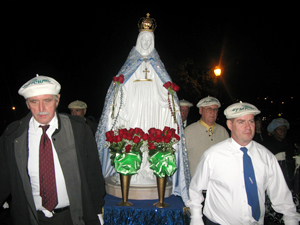 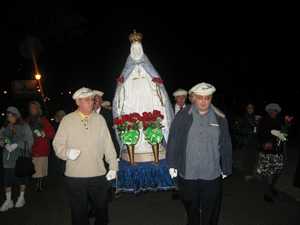 Special graces are given to the pilgrims who devotely venerate this special Rosary that adornes the statue of Our Lady during every Vigil and Holy Hour. 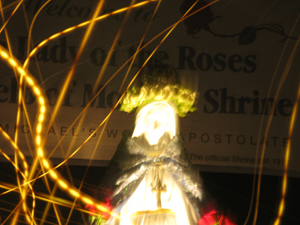 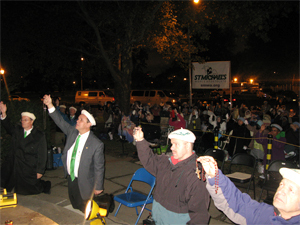 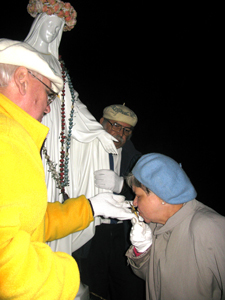 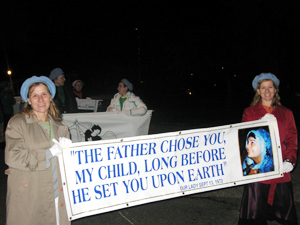 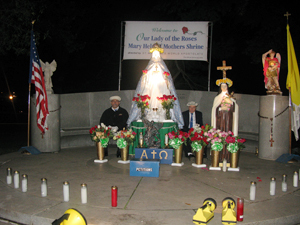 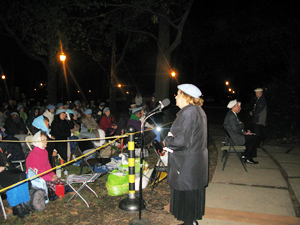 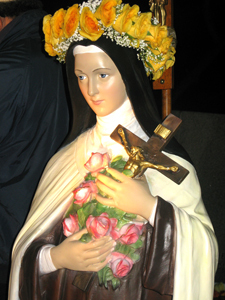 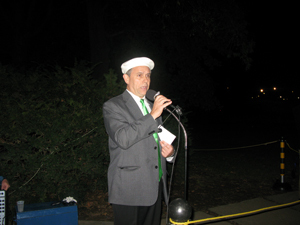 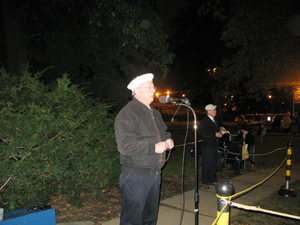 The Rosary was kissed by Our Blessed Mother during an October 1994 Rosary Vigil. 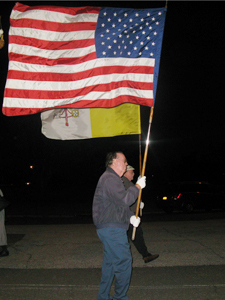 It was a well-deserved, inspiring Vigil for our glorious patron, St. Michael the Archangel, the Guardian Angels and St. Theresa, who were duly honored.